Woo-hoo – so now not only do we know the awesomeness of this years Camp Bestival’s theme, we also have the line-up! We in the Cisco household are very excited by this years line-up! Me and the bloke are most up for the Kaiser Chiefs and the Buzzcocks. Betsy, my 18 year old, is looking forward to Clean Bandit and Wretch 32. And Syd, well Syd wants to go today. Now. This minute. He really doesn’t understand why he has to wait so long for the thing that has become the highlight of his year! We visited Lulworth Castle out of season recently, and while he was excited to finally get inside, what he is really looking forward to is getting back to the festival this year. He will be nearly 4 this time, and has loved it the past two years. He was 1 on our first visit, and even at that age he adored it. If you are worried about taking a younger child to a festival you can find my top tips here. Camp Bestival is about so much more than the music, it is an absolute heaven for kids of all ages. Winning the best family festival award again last year, it provides an incredible space for family adventures – dance together, get back to nature, learn new skills, play, sing, fill your lungs with fresh air – and hang out at a ruddy spectacular castle! Find more details on all that is on offer, tickets and payment plans over on their website here. Will we see you there this year? Previous Post Socialist Snow and Nit Nuking. Sounds like an awesome line up, you’ll have a magical time again this year. Liz Burton recently posted…Is fruit juice bad for you? Ekkah are freaking amazing, and they’re from Birmingham too! Well worth a watch, I’ve caught them at a few of their hometown shows over the last few years. Ooh thanks for the tip – will add them to my list of must-sees! I have friends that go every year but my problem is the camping bit. I struggle with this. It looks AWESOME!! I need to get over myself! 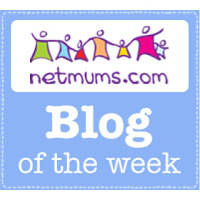 Donna @ Little Lilypad Co recently posted…Do schools still have the nit nurse? It is AMAZING! There are some great posh camping options available that may just convince you to give it a go! Cass@frugalfamily recently posted…Homemade Peach Lemonade – Summer in a bottle…. This sounds like a brilliant festival – I love the family fun bit too! It sounds brilliant – I would love to go one year! Definitely something for everyone! Sounds like a great line up. I’ve never been to a festival but would love to go here! looks like you will have an amazing time, I am a little envious! I’m gutted that we will be away when it’s on. So want to go! Awesomeness! So want to see Kate Tempest! How exciting – i really want to try and get there this year with my little family. Great tips and i certainly agree with the idea of taking a trolley/wagon. We may go this year – still working out summer logistics! I’ll let you know if we do. The line-up does look amazing…. I hope to take mine one year as it looks amazing. This looks like a fun weekend. A colleague of mine goes regularly as he has young kids. WE haven’t decided if we’re doing Camp Besival this year. My eldest has some 11+ studies to take part in so we’re currently jiggling dates. Line up and dress up looks great this year! Wishing I lived closer… would love to see Clean Bandit and Alison Moyet – what a fab line-up! It is my wish that at least once in my life to go to Camp Bestival! Need to discuss wit hubby! What a great event sounds like alot of fun for all. I am off to see the Kaiser Chiefs next week in Bournemouth too – so excited!!!! I am not totally sure but I very much hope so. It is actually much easier than you think – having said that I was bought up going to festivals then continued the tradition with my lot – so I am very used to camping!